I now extended a bit the Arch Site, which before, was only a container (like the Arch Building). Now it can do a lot more, since it is not a Group anymore, but a Part Feature. Now you can use it not only to group other objects, like before, but to display and work with an actual terrain. Several properties such as projected area, or earth volumes to be excavated or filled are calculated automatically. The Arch Site page has been updated with the latest features. 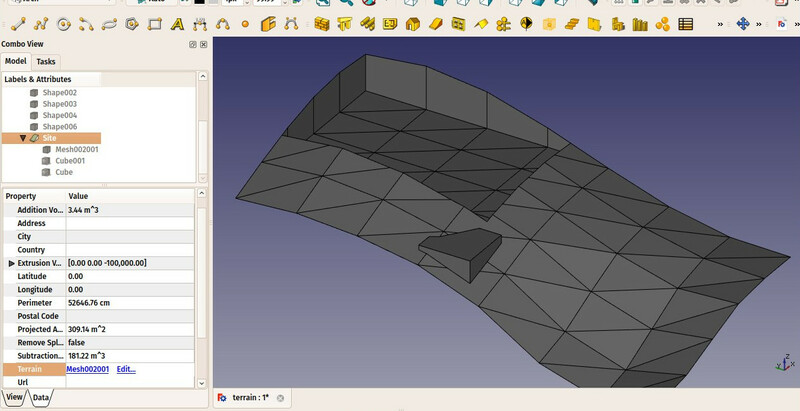 There are still some problems when working with complex surfaces like in viewtopic.php?f=8&t=17647 but the aim is definitely to get there, I'll attack that point next. good to know this place as landing zone for terrain models.